Briefcase from our Barada Moira Collection. Handcrafted in Nubuck finished Aqua Calf Leather. This Briefcase shaped handbag has a big capacity and wide opening, what makes it perfect for executive women, teachers or any other professional in need of carrying papers and gadgets. Inside it has a zipped pocket and glove compartment. 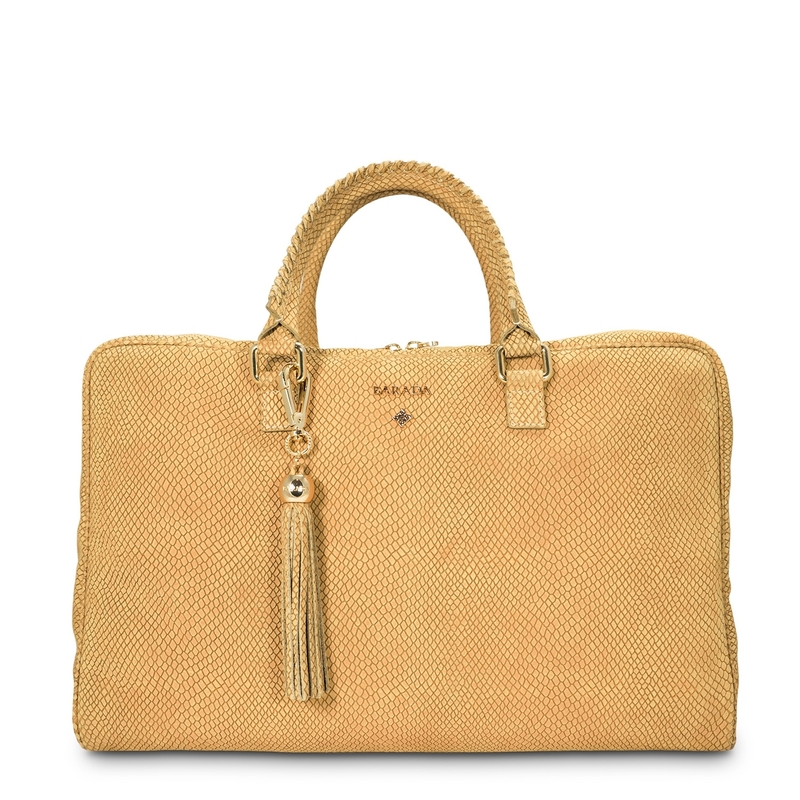 It also has a central zipped closure, 14cm drop handles and a shoulder strap. Handles: 40 x 25.5 x 16 cm.